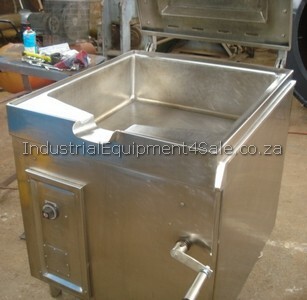 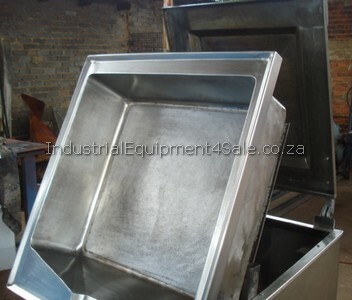 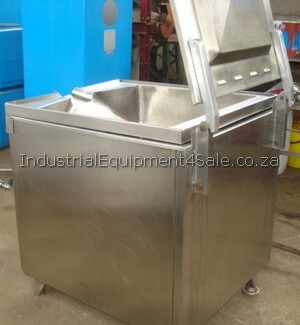 tilting pot for sale: 1 x Used Tilting Pot for sale, Price – R13,000 excl vat Tilting Action 80 Liters 660 x 610 x 200mm Depth Electric 380V Dimension: 900 x 900mm square at the bottom. 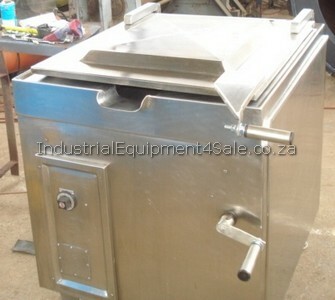 The handles extend an extra 200mm. 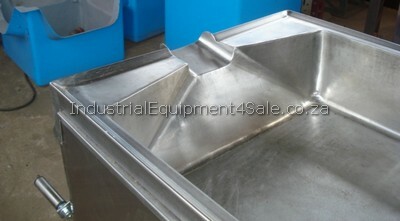 Height: 1,100mm (1.1m). 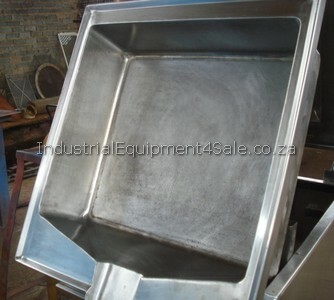 1 Stainless Steel Tilting Pot for sale, For viewing and collection -254 Nadine Road, Robertville,Industrial Park, Johannesburg. Johannesburg, South Africa. 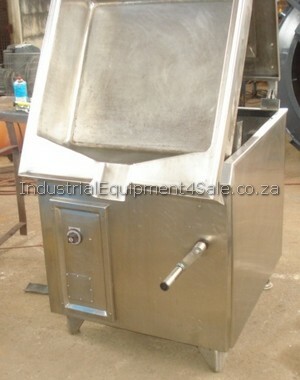 To confirm availability and for more questions, please contact us via call or by filling in your details and requirements on the righthand form. 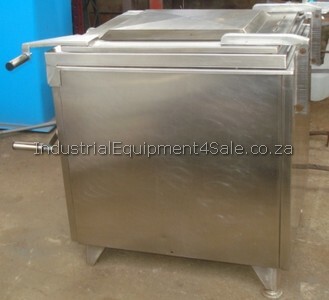 ryan@IndustrialEquipmentForSale.co.za Thanks, The Industrial Equipment team Mike – 082 4104012 www.IndustrialEquipmentForSale.co.za ……… …………………..